Are you ready for a brand new garage door to be installed on your property? We know you are sick of hearing the creaking of your current one. We are also sure you’d prefer it to be able to close all the way! So you can feel the comfort of knowing the belongings in your garage are safe, get a new one when you know yours is beyond repair. 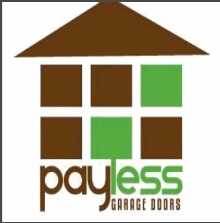 Take a look at our garage door options, you will find the right size and look for your home or commercial property. When the time comes, we are happy to explain the installation process to you, including how long it will take and what materials will be used.